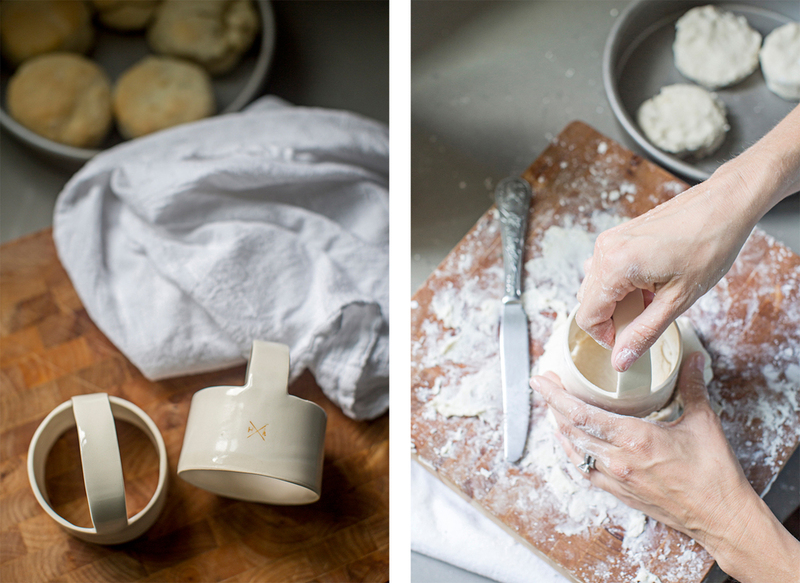 The Biscuit Cutter is made by a northerner but perfect for a southerner. Al Mather of rural Maine handcrafts these beauties from Ash wood. A sharp edge along the bottom allows for perfect slicing of your dough. 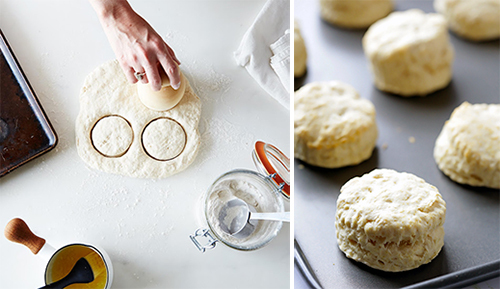 ...just like good, southern biscuits. I think I need to get one of Al's pretty biscuit cutters and get to work. HollyBeth Anderson of HollyBeth Organics is a breath of fresh air. 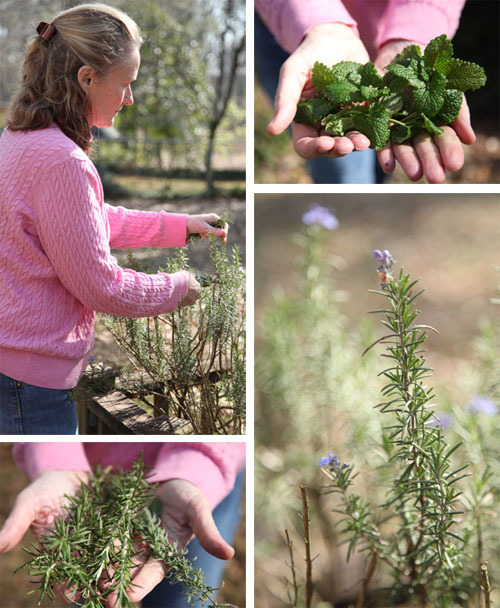 Her home is as lovely as she, and HollyBeth is as giving and welcoming as any Southerner you'll find. 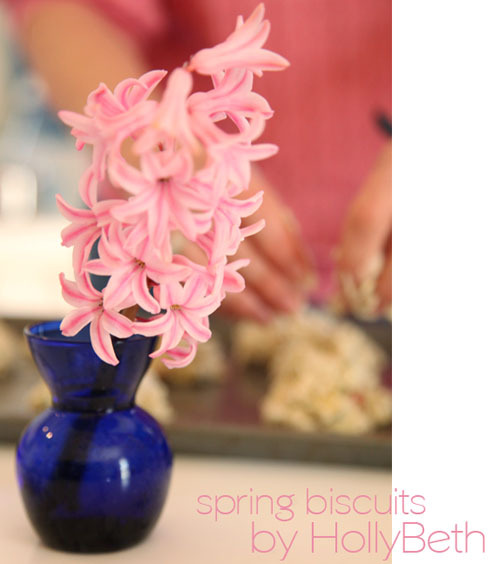 So, since today is the first day of Spring, I asked HollyBeth to share her recipe for her biscuits that I'm personally head over heels in love with. And of course, she said, Yes! HollyBeth is from Habersham County, Georgia. 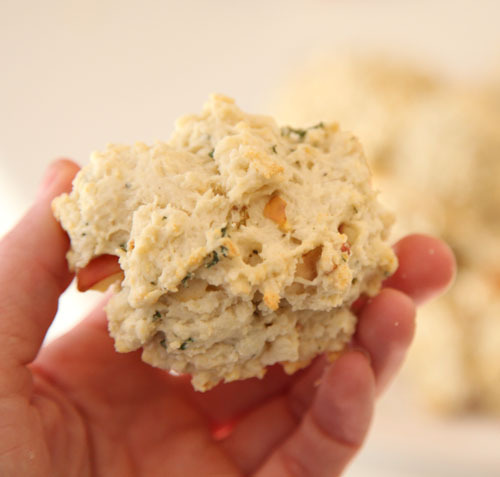 As she shared, "Biscuits are a symbol of love and appreciation, made from the heart. 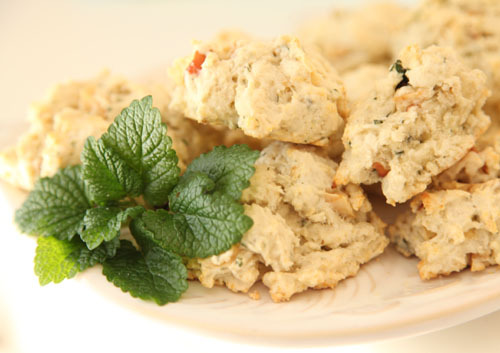 I grew up with my Grandmother who made biscuits for me most mornings. 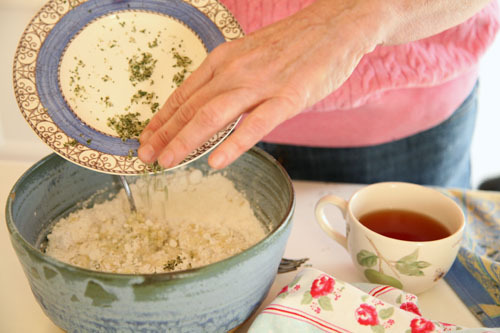 She never used measuring cups or spoons, just her hands. 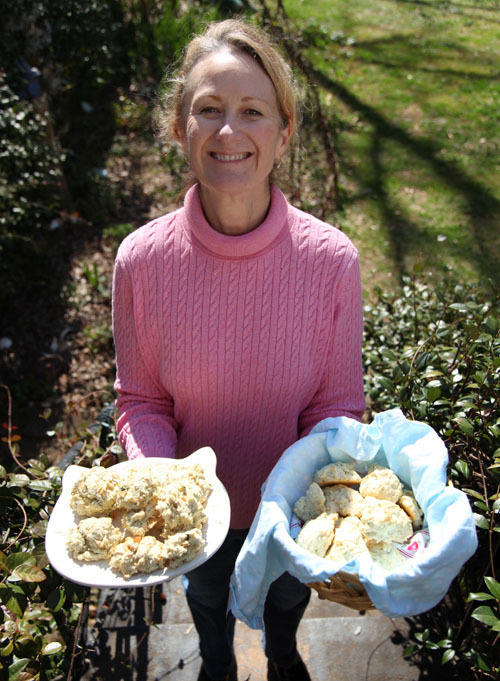 They were always drop biscuits and she always cooked them on an iron skillet in the oven." 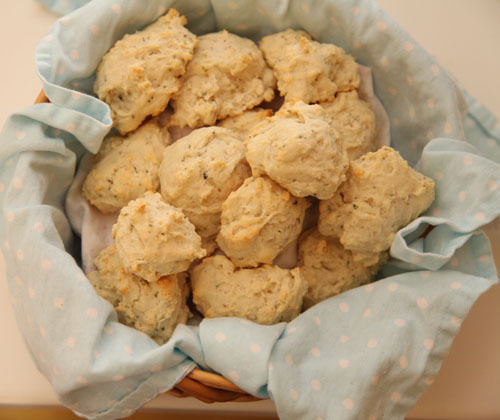 The base recipe for HollyBeth's biscuits are 2 cups flour, 2.5 teaspoons baking powder, 1/3 cup virgin olive oil, dash of salt, 1/4 teaspoon of vanilla, 2/3 cup milk. Mix together. For the Lavender & Rosemary, she just chopped them up with a pinch of organic sugar, then added to the mix (about a 1/2 cup's worth). 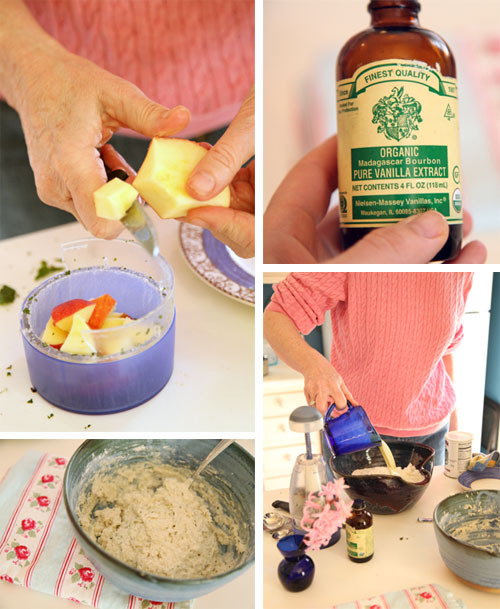 For the other, she chopped up the mint with one lemon verbena leaf and a pinch of sugar, plus an organic apple, cut into small pieces. HollyBeth dropped the drop biscuits onto the cookie sheet and baked them at 375 until, as HollyBeth shares, "the top is gold and the bottom is golden."